Roger Ebert responded Tuesday to criticism surrounding a controversial Tweet he wrote after "Jackass" star Ryan Dunn's death. In a journal entry posted on the Chicago Sun-Times' website, Ebert offered his sympathies to Dunn's family and said he meant what he wrote. "I wasn't calling Ryan Dunn a jackass. In Twitter shorthand, I was referring to his association with 'Jackass.' I thought that was clear." As news broke Monday about Dunn's death in a fiery car crash in Pennsylvania - which occurred just hours after Dunn posted a Twitter photo of himself drinking with pals - film critic Roger Ebert wrote "Friends don't let jackasses drink and drive." Ebert said Tuesday he had no way of knowing if Dunn was drunk at the time of the crash but saw the photo and read news reports of his death. "I don't know what happened in this case, and I was probably too quick to tweet. That was unseemly. I do know that nobody has any business driving on a public highway at 110 mph, as some estimated -- or fast enough, anyway, to leave a highway and fly through 40 yards of trees before crashing." Naturally, the initial Tweet kicked off an internet war of words - with just as many people coming to Ebert's defense as there were crying "insensitive!" After gossip blogger Perez Hilton wrote "Ouch. We understand what [Ebert] is trying to say, but still - this is extremely insensitive." He went on to say that no one should "be pointing fingers or poking fun at a truly tragic situation." Ebert was quick to point out, again via Twitter, that "Perez Hilton's readers agree with me and not Perez about my tweet on Ryan Dunn. He drank, he drove, 2 people died," referencing the comment thread under Hilton's post featuring a majority of people backing Ebert up. However, the strongest words came from "Jackass" star Bam Margera, who ripped into Ebert. "I just lost my best friend, I have been crying hysterical for a full day and piece of s*** roger ebert has the gall to put in his 2 cents," wrote Margera on his Twitter page. "Millions of people are crying right now, shut your fat f***ing mouth!" As the comments intensified, Ebert revealed that Facebook removed the critic's page, warning people that it contained potentially offensive material. "Facebook has removed my page in response, apparently, to malicious complaints from one or two jerks," writes Ebert. He then posted a screengrab of the Facebook warning message. "My page is harmless and an asset to you," he continues. "Why did you remove it in response to anonymous jerks? Makes you look bad." 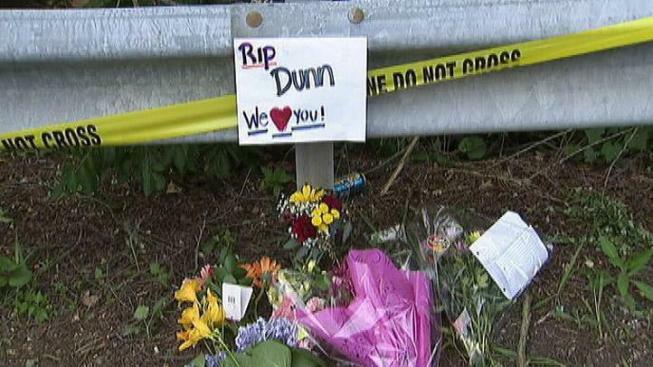 Although Dunn had once before been involved in a crash as a result of DUI, police have yet to state whether or not alcohol was a factor in yesterday's fatal accident.